Information on registration for these classes will be forthcoming. Those interested MUST register through one of the Little Leagues within District 6. There will be a deadline, and there is a limit to the number of students that can attend. Look for registration information on February 1st. 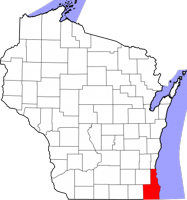 Welcome to the Wisconsin District 6 Little League Web Site! ©2019 Wisconsin District 6 Little League / SportsEngine. All Rights Reserved.